The 10th season of New York Theatre Barn's New Works Series launches on Monday, February 27, 2017 at The Cell with pre-premieres of two new musicals: For Tonight and The Brontës. EAST LANSING – The MSU Department of Theatre and Wharton Center’s ĭmáGen program collaborate for the 2nd time to bring For Tonight, a new musical to the Pasant Stage. For Tonight, a new musical, an indie-rock/folk love story centered on universal themes of family ties, loyalty and acceptance, three siblings seek to find themselves, inspired by the gypsies who once shared their home. Featuring a seductive and rhythmic score, a 4-piece band and a timeless story that will touch anyone with family. Showcasing Broadway stars, local high school and MSU Department of Theatre students on the same stage, the hugely successful collaborative venture enters its second year with the MSUFCU Institute for Arts & Creativity at Wharton Center and MSU College of Arts and Letters’ Department of Theatre. Last year’sstaged concert reading of Chess was the first venture in the collaboration, and featured a director, musical director and four actors all based in and working around New York City. This year, the program focuses heavily on the writing aspect of a new musical, welcoming the above-listed writing team, a guest director, Joe Barros and actors Adam Theodore Barry and Hannah Elless. The students work alongside these professionals, sharing the experience of putting on a show. Not only do students get to experience the amazing professional collaboration, but they also make connections and networking opportunities that will be invaluable tools for students to take into their budding careers. ** Post-Show audience talkback following EACH performance with Guest writers, actors and director. General Admission $15. Students $10. Click the above picture to read the entire article! Isle of Man Arts Council vice-chairman Michael Lees said: ‘TheatreFest15 is a brand new concept, a legacy outcome from Island of Culture 2014. ‘From the outset we were determined that Island of Culture should have a life long beyond 2014; legacy was fundamental. The idea for TheatreFest was first mooted after the Island hosted last year’s British All Winners’ Festival of Plays finals and it was clear that the enthusiasm for TheatreFest far outweighed any concerns over the risk factor associated with putting on new work. For Tonight, a new original musical, by creators Shenelle Williams, Spencer Williams and Whitney Rhodes, will be produced as a staged reading at Goodspeed Opera Houses' Festival of New Musicals, January 16-18, 2015 in East Haddam, CT. For Tonight will be presented on Sunday, January 18 at 1:00pm rounding out this year’s 10th annual festival weekend. 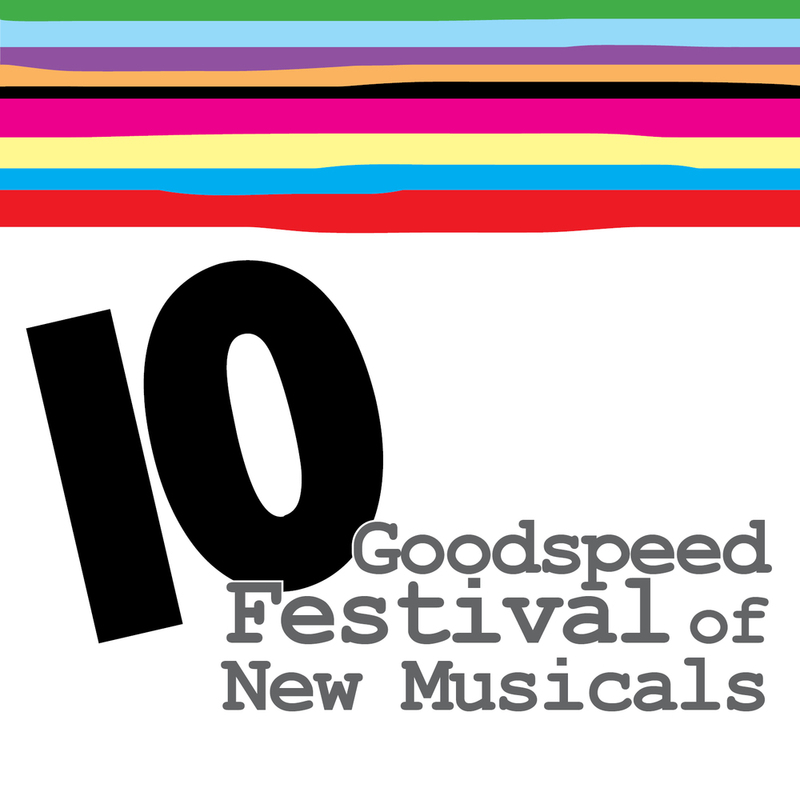 Hundreds of musical theatre lovers will gather on the Goodspeed campus for staged readings of brand new works as the brightest new writers and performers collaborate to create the future of America’s greatest art form. The weekend includes staged readings of three new musicals performed by students from The Hartt School and Boston Conservatory, cabarets featuring music of the composing teams and seminars on a variety of industry topics. For Tonight's story is inspired by the life of the writer’s great-great-great-grandfather in the 1830's in Northern Wales/Liverpool. When their parents die of a mysterious illness in their small Welsh village, surviving siblings Thomas, Haydon and Nettie are forced to fend for themselves. Inspired by the gypsies who once shared their home, Haydon heads off to Liverpool, guitar in hand, to find what he’s been missing. There he meets Mirela who speaks to his wandering soul. Through a riveting indie-rock/folk score, For Tonight explores the indelible power of home. For Tonight made its professional debut in the 2014 New York Musical Theatre Festival as a developmental reading and was the first reading in the history of the festival to be extended, adding a fourth performance of a concert version of the show. Director Joe Barros (Artistic Director of New York Theatre Barn) and Musical Director Drew Wutke, who lead the show through NYMF, will rejoin the team for its run at Goodspeed. “We are thrilled to have the opportunity to be together again. I live in Minneapolis and Spencer and Shenelle live in California, so writing this musical cross-country has posed its own unique challenges for us,” said Rhodes. “Being able to work in the same room with each other for two weeks and having such renowned artistic support from Goodspeed is absolutely thrilling as the next step in the journey of For Tonight." The Festival will also feature staged readings of Outlaws (music and lyrics by Alexander Sage Oyen, book by James Presson) and The Noteworthy Life of Howard Barnes (book and lyrics by Christopher Dimond and music by Michael Kooman).